Man, it’s been a weird week with my girlfriend halfway across the country. Like, the first couple days the place was overrun by hamsters. They were everywhere. The floor was practically made out of them at one point. When I was leaving for work one day they covered my upper body and I wound up having to go through my day with a living, furry hamster hoodie. In an attempt to engage them in conversation I decided to talk to them about their existence. I looked at one in the eye and said “Before we get started, I just wanted to you let you know that I’m not here to discuss me being real but you being aware.” It worked. Not only were they confused, but hamsters tend to have trouble when it comes to becoming aware of their existence. They all disappeared with a gentle splash of Febreze being released into the air. That didn’t make me stop wanting to be a hamster on some level, but I had to move on. After that I had to deal with a severe lack of things to carry other things with. I couldn’t find a bag for the life of me. The grocery store didn’t have any either (At least any they were willing to give away.). So I had to carry my lunches for the entire week entirely by hand. Carrying three thousand Snickers Bars around each day by hand is pretty tough. Hopefully when she comes home tomorrow everything will be all sorted out by then. I do keep finding drumsticks in the most odd of places though. We don’t even play any musical instruments . . . 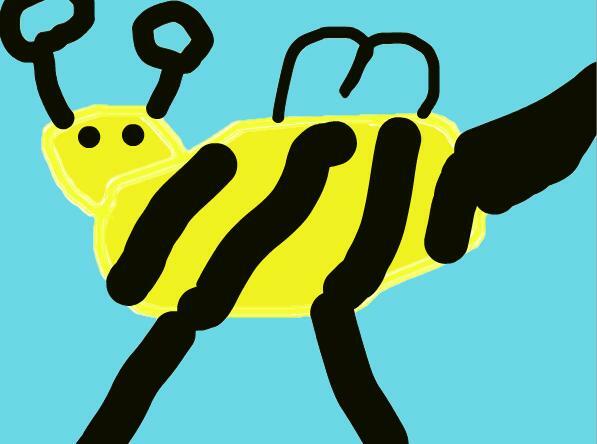 This entry was posted in Bees!, Blog, Blogging and tagged adventure, Art, bags, furry, life, love, musings, pic, picture, time, week. Bookmark the permalink. Things that cause me to do a double-take. Nice way to get rid of the hamsters :).